BUY 20 INSERTS AND GET THE PARTING BLADE FREE! 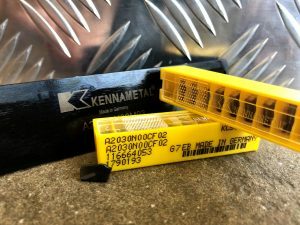 Kennametal coated grade inserts are suitable for heavy machining, and are particularly suitable when turning Austenitic stainless steels. The Cutoff Rough Chipbreaker Design of these 2mm, 3mm and 4mm inserts reduces build up on the cutting edge and makes for higher feed rates. 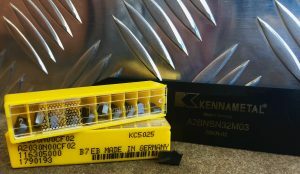 Buy 20 inserts in 2mm, 3mm or 4mm for $260+GST and get the parting blade free!